Victor Vandergriff advocated for auto dealers while billing the Texas Department of Transportation for Austin trips. The TxDot commissioner says he'll reimburse the state for certain expenses and update his financial disclosure statement. Before billionaire Warren Buffett learned that his new Texas car dealerships had a big problem with the state’s protectionist auto laws, his company had a small problem with them. To fix that small problem, Buffett’s Berkshire Hathaway Automotive turned to a man juggling perhaps too many roles for his own good: a state highway commissioner and former chairman of the Texas Department of Motor Vehicles who is also an auto industry consultant and namesake of five of the Berkshire dealerships. Vandergriff, the former legislative chairman for the Texas Automobile Dealers Association, wanted the Texas Legislature to change the law that prevents insurance companies from owning body shops. The law was designed to keep insurers from steering auto repair claims to body shops they own. Berkshire Hathaway owns insurance companies (including Geico), which complicated Buffett’s buying spree. Freed from the constraints of the law, he could continue to gobble up Texas dealerships without having to break them off from their auto repair side businesses. The effort went nowhere, despite Vandergriff’s reputation for effective advocacy at the Capitol. While there’s nothing new about hired guns for auto dealers advocating for carve-out bills at the Capitol, Vandergriff was billing taxpayers for his trips to Austin as a commissioner for the Texas Department of Transportation at the same time he was getting paid by a company Berkshire had just bought to represent its interests before the Legislature. It wasn’t an isolated incident. Vandergriff has repeatedly conducted private business in Austin while TxDOT was paying for his travel and other expenses, blurring the lines between his role as a gubernatorial appointee and his paid consulting gigs, according to a Texas Tribune investigation of government travel vouchers and agency correspondence. The Tribune review sheds new light on the power and reach of Texas auto dealers, which have defended state regulations requiring people to buy new cars only from franchised dealerships — never straight from manufacturers. They have succeeded in part by cultivating ties to top state leaders such as Lt. Gov. Dan Patrick, who as a state senator signed on to a dealer-backed initiative that Vandergriff helped guide through the Legislature in 2013 when Vandergriff worked as a consultant for the Van Tuyl dealership chain; Berkshire Hathaway bought Van Tuyl in 2015. Vandergriff acknowledged he’s done non-TxDOT work during agency-funded trips to Austin, and after the Tribune review of his vouchers he said he plans to reimburse the agency for certain expenses incurred during at least three days of travel. The Arlington businessman also said from now on he won’t charge the state for hotels and meals during commission trips to Austin, though he has long considered any private work he does in the capital “incidental” to his commission duties and not a conflict of interest or abuse of his office. He also said TxDOT had reviewed his reimbursements and determined they were appropriate given the work he did for the agency while in Austin. Brian Ragland, chief financial officer at TxDOT, said commissioners who perform non-TxDOT work while traveling for TxDOT are still entitled to reimbursement as long as they would have had to make the trip regardless of their other activities. Each round trip Vandergriff took between Austin and Arlington cost the state about $200 in mileage reimbursements, and in the past two years Vandergriff has generally billed taxpayers between $225 and $275 a day for lodging, meals, parking and taxes during overnight stays. Vandergriff said he should not have charged the state for the Austin hotel stay and meals on the evening before the morning meeting of auto industry representatives. He also said he should not have charged taxpayers for certain expenses, including meals and lodging, on two days when he was making paid appearances on behalf of auto dealers at the Department of Motor Vehicles in 2016 and 2017. He said he will reimburse the agency for those expenses. Vandergriff, who has consulted for auto dealers since 2009, also conceded that he had not properly disclosed all of his business interests with the Texas Ethics Commission — particularly his relationship with Berkshire Hathaway Automotive. Vandergriff has been a paid consultant for the company since 2016, but that’s not reflected on the personal financial disclosures that he and other top bureaucrats must provide to the Texas Ethics Commission. He described the omission as an “oversight” and vowed to correct his personal financial statements in subsequent filings. Vandergriff said his advocacy for auto dealers doesn’t meet the state definition of “lobbyist” and that he has never been registered as one. His family’s prominence in local politics — his father, Tom, was Arlington mayor and served one term in Congress — and a string of auto dealerships bearing the family name makes Vandergriff one of the most recognizable names in Tarrant County. In 1989, Victor Vandergriff and a group of investors bought and eventually expanded the family-named auto dealer business, then sold the company’s assets in 1997 to the Van Tuyl Group, one of the largest dealer networks in the nation. Vandergriff remained as an executive at the Van Tuyl Group, which left his name on their dealerships. In 2009, then-Gov. Rick Perry appointed him to chair the commission overseeing the newly created Texas Department of Motor Vehicles. At that point, Vandergriff said he asked Van Tuyl to “cash me out” of the “perks and other benefits” he had accumulated at Van Tuyl in order to avoid any conflicts of interest. However, he said Van Tuyl continued to pay him licensing fees through 2015 for the right to use his name on their dealerships; the company also paid him a monthly consulting fee. When Van Tuyl was sold to Berkshire Hathaway Automotive for $4.1 billion in 2015 — which Berkshire called the largest auto dealership acquisition in history — Buffett’s automotive company also kept the Vandergriff name on the dealerships and continued to pay him monthly consulting fees, Vandergriff said. By then, Vandergriff had a new state job after Perry appointed him to the TxDOT board in 2013. But with the legislative session winding down just as he was tapped for the new assignment, Vandergriff still had some unfinished business related to the Department of Motor Vehicles — and made a powerful new ally along the way. Late in the session, Vandergriff was trying to hold together what he described as a fragile compromise over a bill spelling out procedures for car dealers and car makers when they square off over Lemon Law disputes and other disagreements requiring mediation. Vandergriff reported to top Senate aides that he had a solution thanks to an ambitious and auto dealer-friendly Republican senator, according to correspondence obtained by The Texas Tribune. 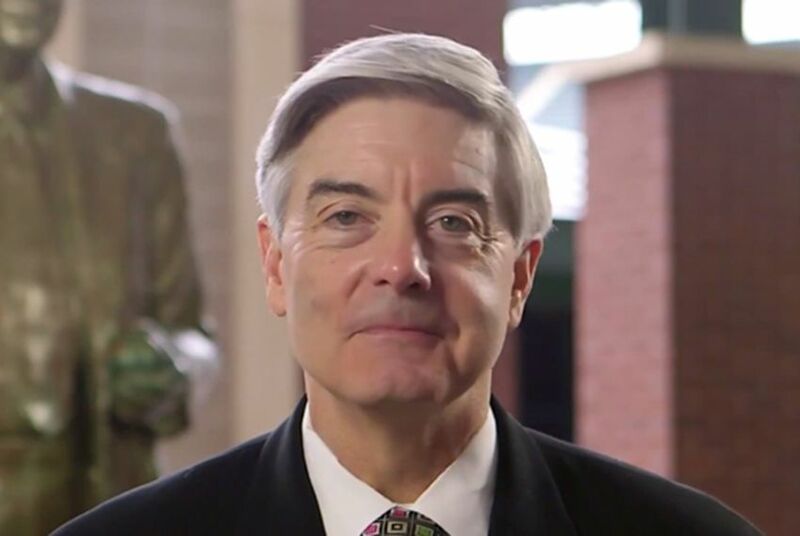 In an interview, Vandergriff said the firebrand conservative had a long history of backing auto dealers and supported one of their top priorities: preserving state laws that forbid electric car maker Tesla Motors from selling vehicles directly to Texas consumers. After successfully guiding the Vandergriff-brokered bill to the governor’s desk, Patrick went on to become lieutenant governor the next year — with heavy financial backing from auto dealer interests. As lieutenant governor, Patrick sets the agenda and controls the flow of legislation in the state Senate, making him one of the most powerful leaders in Texas. And legislation allowing consumers to buy cars directly from manufacturers such as Tesla — an issue that pits free-market advocates against entrenched dealer interests — has never gotten close to passing out of Patrick’s Senate. In early 2017, Vandergriff slipped on his auto consultant hat again when he reached out to his former DMV colleagues about a potential regulatory nightmare for Berkshire Hathaway Automotive: The same auto dealer-friendly law that bars Tesla from selling directly to consumers had ensnared Buffett’s company in a regulatory quagmire. Because Berkshire Hathaway Automotive’s parent company owns an RV manufacturing company called Forest River in Indiana, it appears to be barred from also owning Texas auto dealerships. The Department of Motor Vehicles has an ongoing enforcement case against Forest River and the Berkshire Hathaway Automotive Dealerships, including the ones that carry Vandergriff’s name; they continue to operate in the meantime. This was a far more serious problem than the 2015 scrape over body shop ownership, and Berkshire again got an assist from Vandergriff. In early 2017, Vandergriff sent an analysis to top DMV officials — including the general counsel and head of enforcement — arguing that state law allowed Berkshire Hathaway to keep its Texas dealerships without the need for new rules or legislation, emails obtained by the Tribune show. “Hopefully, you and your staff can verify the analysis and reach your own level of comfort,” Vandergriff said. Vandergriff then connected Berkshire Hathaway Automotive representatives to DMV honchos in preparation for a planned meeting to discuss the regulatory crisis. Around the same time, Vandergriff said he and fellow TxDOT commissioner Laura Ryan, an executive at politically connected Gulf States Toyota, relayed information about Berkshire’s problem to the office of Gov. Greg Abbott. Messages left at Gulf States Toyota for Laura Ryan were not returned. Sources in the governor’s office confirmed that Vandergriff was instructed to “cease and desist” but denied that anyone in the office described the issue as a “political football” and said the governor’s office wasn’t aware at the time that Vandergriff was a paid consultant for Berkshire Hathaway Automotive. A few weeks after Vandergriff was told to back off, Berkshire Hathaway’s regulatory morass indeed became a huge political football. Buffett famously flew to Austin late in the 2017 legislative session to meet with Abbott, Patrick and Sen. Kelly Hancock as part of an effort to exempt Berkshire Hathaway Automotive from the law that bars auto manufacturers from also selling new cars in Texas. The same week of their meeting with the “Oracle of Omaha,” Hancock and Patrick tried to fast-track the “Buffett Bill” that contained Berkshire Hathaway Automotive’s exemption through the Senate — with the blessing of the influential Texas Automobile Dealers Association. But by then, Tea Party activists were blasting them for doing the bidding of a billionaire while continuing to block free-market reforms that would lift the ban on manufacturer-to-consumer sales. A few days later, Patrick yanked the Buffett Bill off the Senate calendar. Vandergriff said he didn’t get involved in the legislative efforts to pass a fix for Berkshire Hathaway Automotive — and he says he hasn’t signed on to help the company try again when lawmakers reconvene in 2019. Disclosure: The Texas Automobile Dealers Association, Tesla Motors Inc. and Gulf States Toyota have been financial supporters of The Texas Tribune. A complete list of Tribune donors and sponsors is available here.